Adorable Kid's Fold Up Stool for Only $7.54 PLUS FREE Shipping! You are here: Home / Great Deals / Amazon Deals / Adorable Kid’s Fold Up Stool for Only $7.54 PLUS FREE Shipping! Adorable Kid’s Fold Up Stool for Only $7.54 PLUS FREE Shipping! When you have little ones, step stools are great to have around! 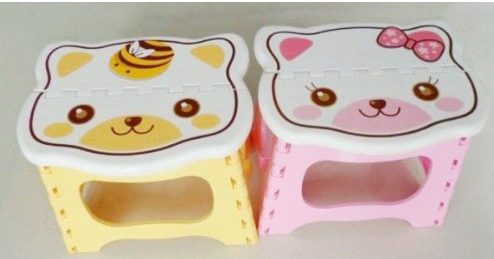 Get this Adorable Kid’s Fold Up Stool for Only $7.54 PLUS FREE Shipping! This a great deal, so pick up a couple!